Olga D. Shipunova Krauze Alexander A. The article deals with axiomatic foundations of technogenic civilization which determine the value dominants for contemporary epoch. Science and education humanization is connected with the new requirements for the interdisciplinary intellectual filling of vocational education in information society. 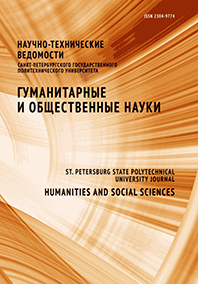 The need for combining different semantic levels, intra-scientific and extra-scientific values of general social nature in the innovation activity and professional communication makes philosophical and general scientific paradigms an unavoidable element of the education because of giving an ability to create conceptual bridges.